Photos are not just used for personal purposes, but they are also used for various commercial purposes. When you are going to use someone’s photo for commercial purposes, you need to obtain consent as well permission of that person. You need to have permission for photo release from the photographer or copyright holder too. This is why photo release Sample Form is required. 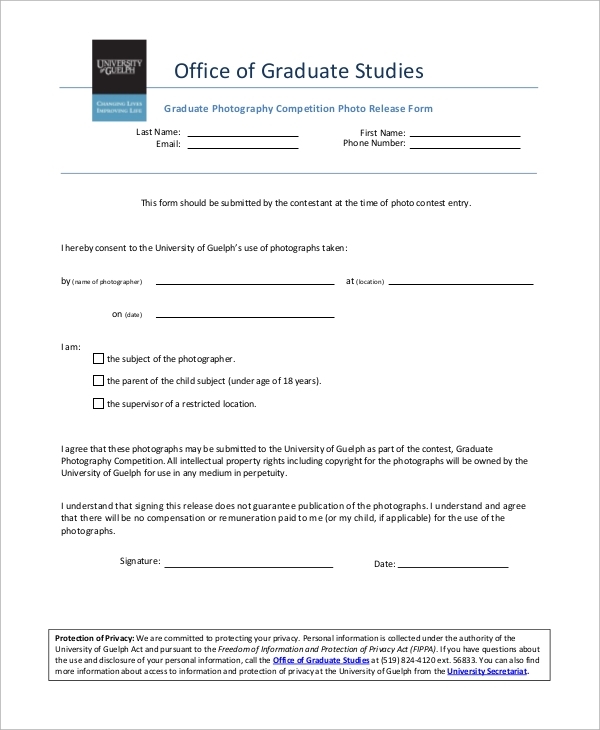 You need to use this form for the purpose of sharing or using a photo. For avoiding copyright issues, photo release permission has to be attained. 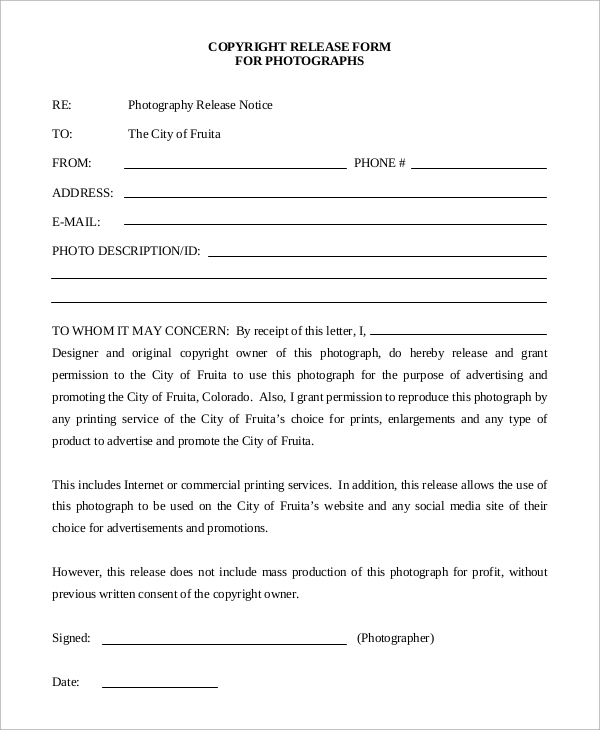 For releasing copyright on a photo, this form can be used. 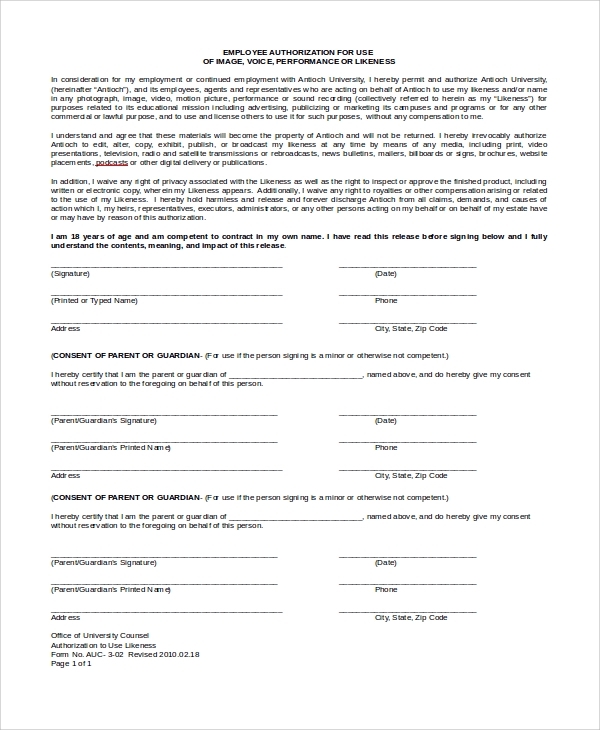 Formatted properly in a professional style, this form is available in PDF downloadable format. Use this form after printing. 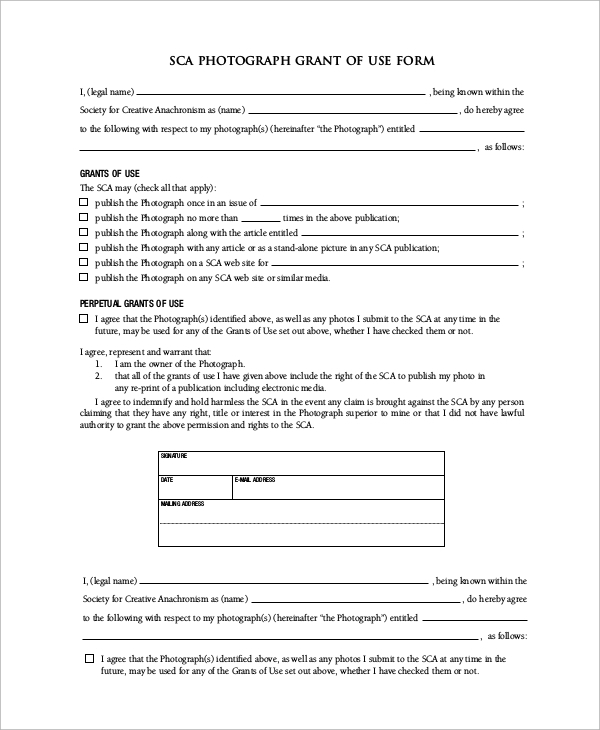 The photographers can use this photo release form. 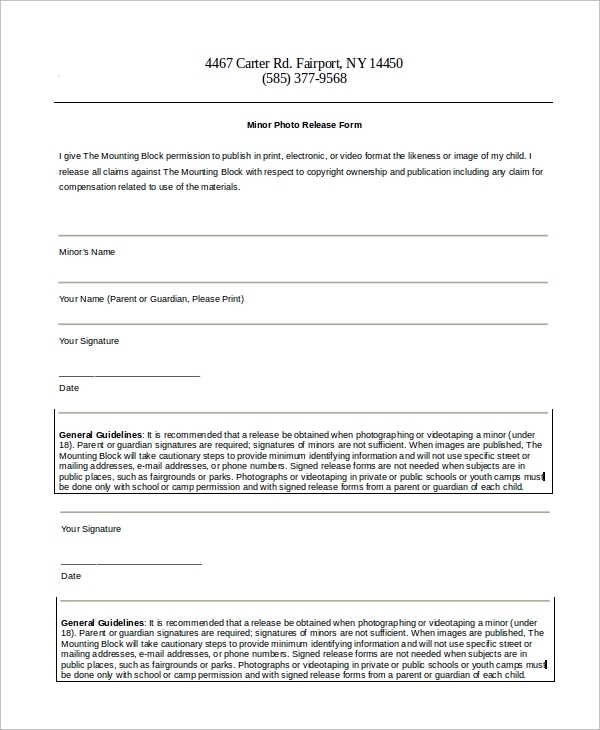 For releasing a photo without any copyright glitches, this form has to be filled out and submitted to the copyright owner for granting consent. Photo or video is considered as the intellectual property of a person or organization. Thus, there is copyright restriction on using these things for your purpose, unless you take photo release permission. 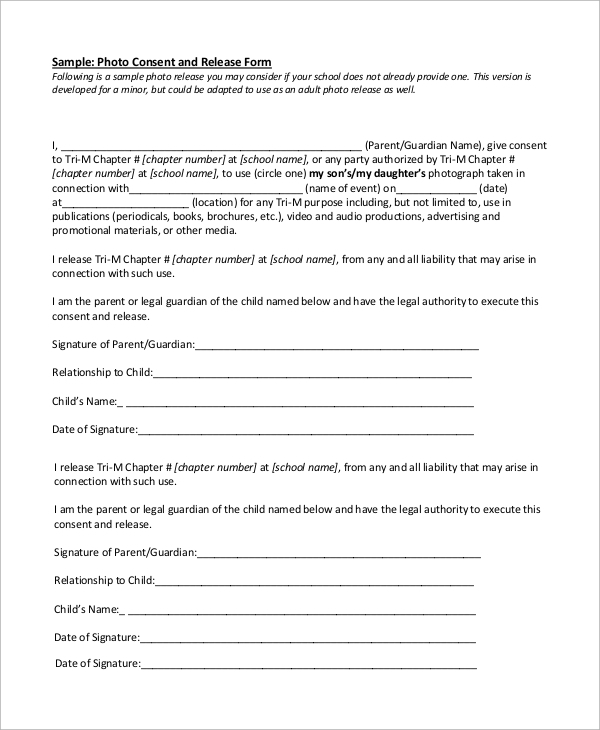 This is a form of photo consent release, and it can easily be used for the purpose of having copyright permission or consent. You can download this PDF form, and print it for your purposes. Photo of a model can be used for commercial purposes, but before that, consent or permission of model is necessary. For that purpose, this photo release form can be utilized. A photo has been considered as someone’s intellectual property. For example, a beautiful photo of a place or a model is a property of the photographer. He had his creative thoughts behind clicking the photo and thus he holds the right of using or reusing this photo for any commercial or personal purposes. Nevertheless, before using a photo of a person, it is always important to get the consent of the individual. If the consent has not been attained, the person may initiate legal actions against you. Thus, you have to be careful on getting permissions. For obtaining the approval, photo release form has to be filled and submitted to the photo owner. 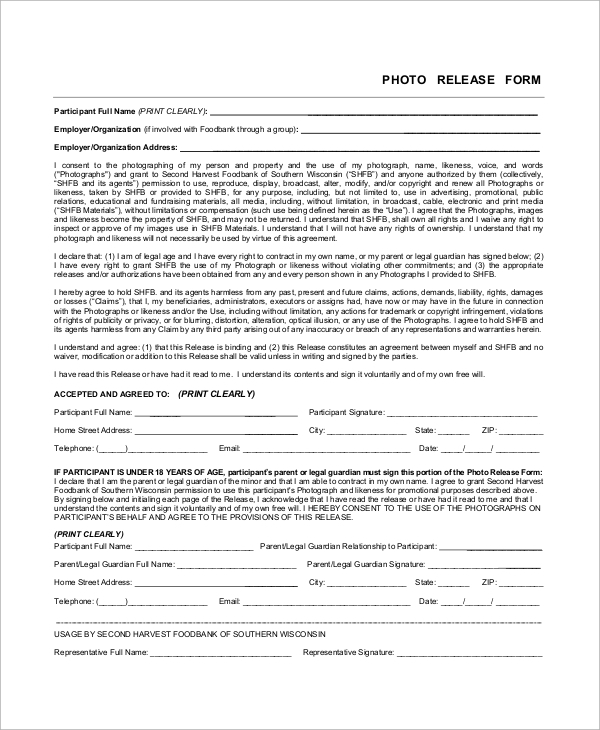 Who Should Use The Photo Release Forms? Typically, a photo has been used for various purposes. Using a photo to make visually attractive business or corporate advertising materials is a common thing. We also see the use of photos in various private or personal purposes. Irrespective of private or commercial purposes, it is sheer unethical and unlawful to use a photo without its owner’s consent. The owner has the right to take legal actions against you for not granting his or her permission before using the photo. The financial penalty will be heavy in such cases. 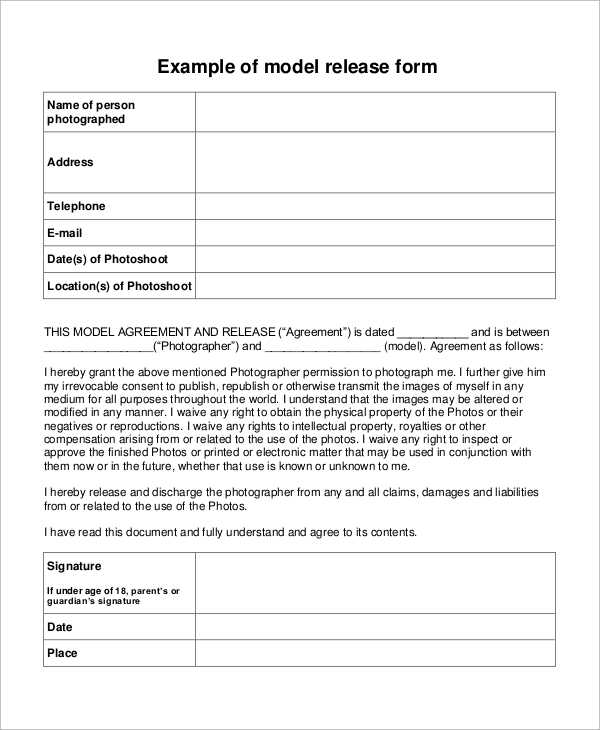 To attain permission or consent for photo release, you should use photo release form. 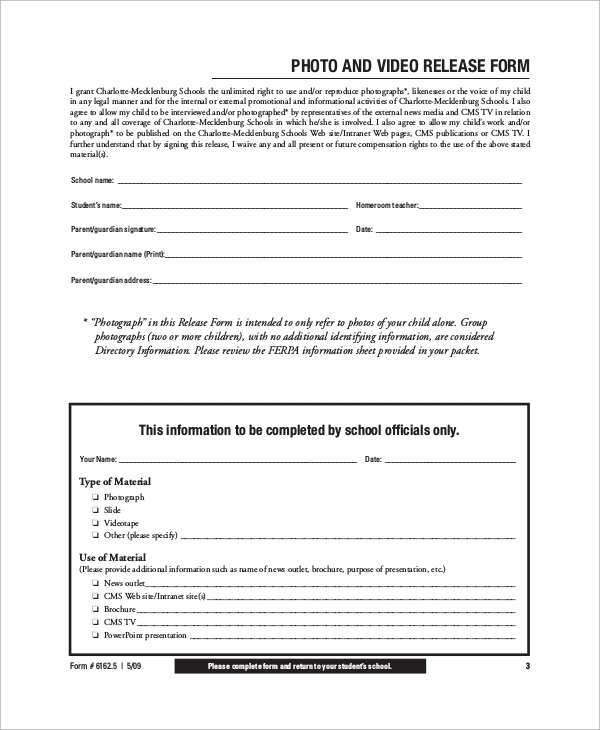 You can also see the Video Release Forms. Photo release without permission is an offense in almost every part of the world. Different countries have different laws for copyright protection. More or less, these laws are quite severe and nonmerciful. To avoid the legal hassles, you need to have correctly written photo release forms for seeking permission of the photo owner.